Description : Shopify features a global as well as a local search engine for products. 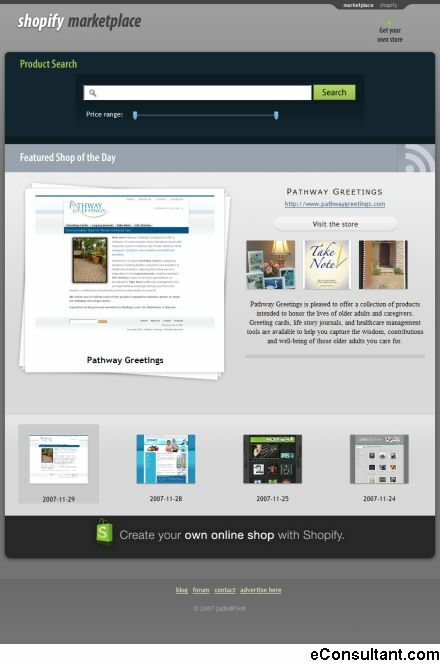 As a result, Shopify will drive traffic to your page automatically. All Shopify products will also be registered with Froogle, Google’s product search engine. We will also help our users hit the ground running by using Google’s Adwords or Yahoo’s Overture to improve marketing.